Through sustainable practices we ensure that your events footprint is minimal and the impression on your guests maximum. Dietz Catering is uncomplicated, organized and inspired. On your wedding day we want you to enjoy each other while confidently leaving the details to us. Your event should be as unique as you are. We prefer to cook on site whenever possible to offer the freshest preparation. We will work in advance so that your wedding run smoothly and the food be a reflection of place, season and you. Let us help you create lasting memories and good cheer! Celebrations come in many sizes. 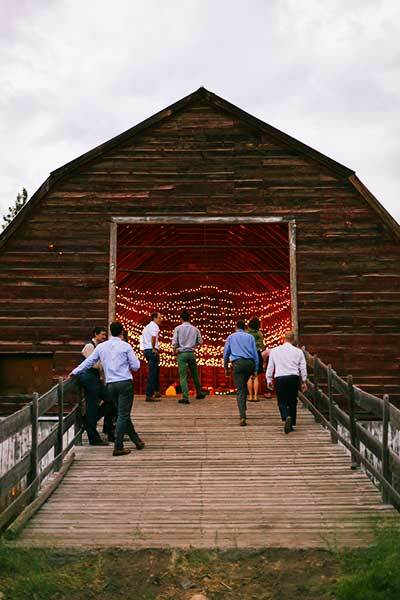 Whether planning a heavy Hors D’oeuvres cocktail party, casual Methow-style paella feast, anniversary, luncheon, or family milestone, let us help with the heavy lifting. Through thoughtfully sourced ingredients and inventive menu style we can assist with any size occasion. We look forward to crafting your vision into an event that lets you do the socializing!